Charles Walter McDaniel, the son of Ivey and Iowah (Boag) McDaniel, was born on October 18, 1947, in Fort Dodge, Iowa, where he was raised and educated, graduating from Fort Dodge High. On October 23, 1965, Chuck was united in marriage with Susan Schott in Rolfe. Chuck was an active law enforcement officer for seven years, with both the Knoxville PD and Goldfield PD. He worked in the gypsum mills at Georgia Pacific in Fort Dodge for ten years and then enjoyed seeing the U.S. in his travels while he worked for Umthun, Ruan and ADS as a truck driver, until his health forced him to stop in 2000. Chuck was fortunate to have some side jobs after that and he especially enjoyed driving the RR transport van. Chuck was a member of Sacred Heart Catholic Church and a 3rd Degree Knight in the Knights of Columbus. 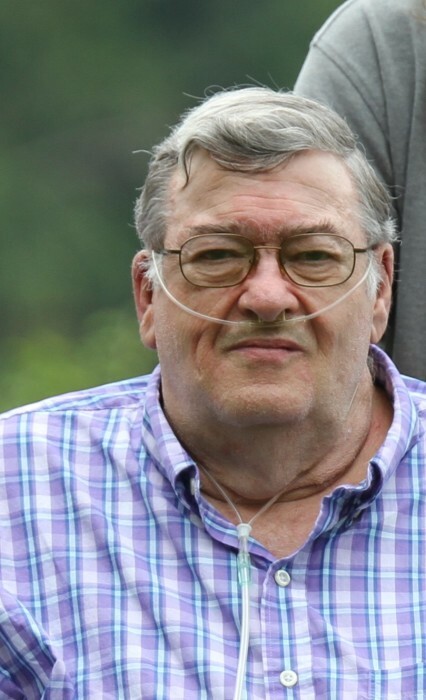 Chuck was extremely proud of and loved his family very much and worked very hard to provide for them – even when his health tried to dictate otherwise. He was an avid book reader, collected toy trains, liked bird watching, fireworks and listening to “old” country music. He will be remembered for many things including his “quick witted” sense of humor, joke telling and fondness of socializing – in person or via his computer. Charles passed away on Sunday, August 26th, 2018, at the age of 70 years old. He was preceded in death by his son, Micheal; daughter, Melissa; parents and sister, Margaret. Survivors include his wife of 52 years, Sue McDaniel of Goldfield; son, Rick McDaniel (Amy) of Belmond; daughter, Dawn Sherman of Clarion; eight grandchildren: Victoria Sherman (Justin Baker) of Fort Dodge, Gabrielle Smithman (Ryan) of Des Moines, Micheal Sherman of Fort Dodge, Genevieve Sherman (Dang Felton) of Des Moines, Shaila, Jacob, Andrew and Maleigha McDaniel of Belmond; sister, Roberta Aukland (Olan) of Goldfield; brother-in-law, Norman Gulley of Louisville, GA; sister-in-law, Carol Jahnke (Leonard) of Eagle Grove and many nieces and nephews. Mass of Christian Burial will be Wednesday, August 29th at 10:30 am at Sacred Heart Catholic Church in Eagle Grove, with Father Jerry Blake, Celebrating. Visitation is Tuesday from 5:00 to 7:00 p.m. with a Vigil service at 4:30 p.m. at Foust Funeral Home in Eagle Grove.